New York couple Lindsey and Dan considered hosting their wedding in the Big Apple, but ultimately decided on a different coast entirely. 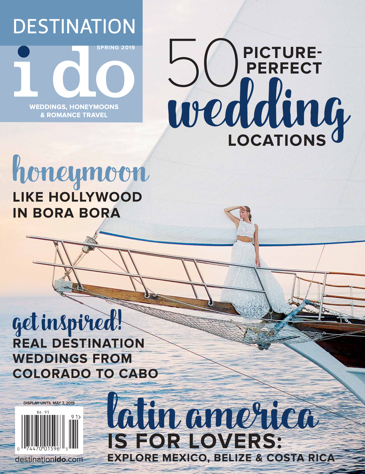 “Initially, we thought we would do a wedding somewhere in New York, where we currently live, but as we started looking at places, nothing really seemed like the right fit,” says the bride. 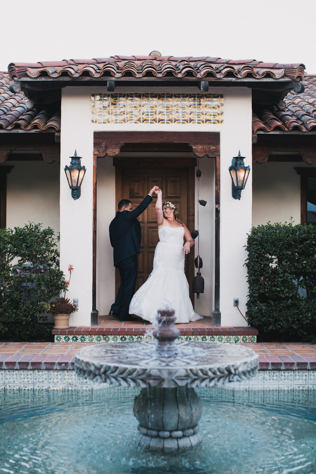 “As we started looking at places in California, our decision became very easy, as many of the places were perfect for our vision of a smaller wedding with our closest friends and family. I grew up on the Central Coast of California about 10 miles from the venue.” While the couple immediately knew that a destination wedding in California was the right decision for them, their loved ones took a bit of convincing. “Initially, there was some hesitation by family members as they were concerned about whether many of our friends would be able to attend,” explains Lindsey. “With planning, we just tried to keep everything really positive and exciting in hopes that they would also focus on all the positives. In the end, everyone was very happy with how the day went.” Keeping a positive attitude throughout the wedding planning process is key to not only keeping yourself confident in your decision, but it encourages your guests to do the same. The couple had several reasons for deciding on Central Coast California and, thankfully, they paid off in spades. “We chose the destination because that is where I grew up and it is also an area that we hope to move to in a few years,” says Lindsey. “My parents still live in the area, so we made a trip out to visit them to look at wedding venues. We were really lucky that my parents were able to go look at a few places on our list and help narrow it down so that we were able to look over the course of two days. The venue we ended up choosing was the last one we looked at and the minute we drove up the driveway we knew it was going to be the perfect location for us!” The stars seem to have aligned for Lindsey and Dan’s destination wedding. “We were very lucky and didn’t run into many issues while planning and I give the credit to Janet, our coordinator, for that,” reflects the bride. 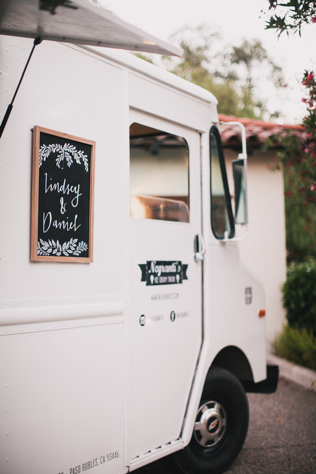 “She was able to recommend three or four vendors for each ‘category’ and that helped so much. When planning from afar, you can’t always meet in person and rely a lot on e-mail. Knowing that a wedding professional that I trust has a great relationship with another vendor relieves a lot of stress!” The couple says they had a lot of fun planning their wedding and it’s no doubt due to their positive attitude and trust in their vendor team. When it came time to conceptualize their ceremony and reception set-up, the couple was super suave and used social media to their advantage. 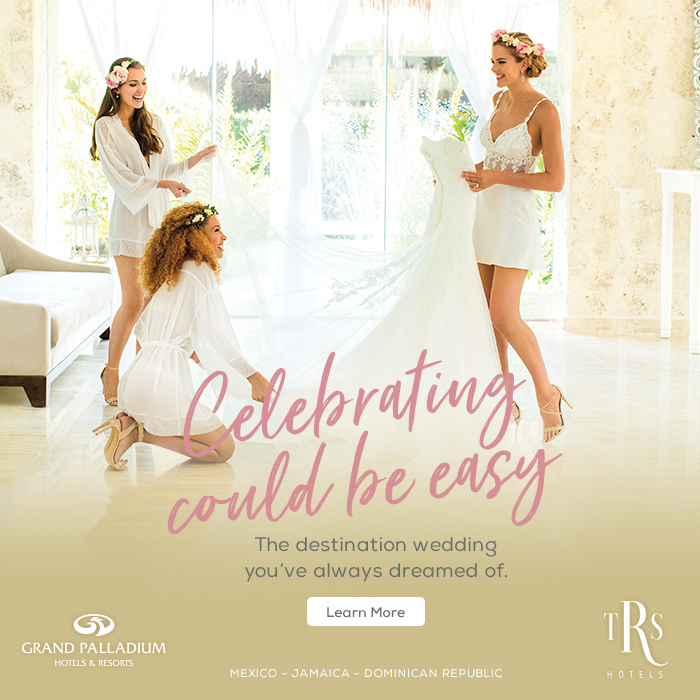 “[For our main resource], we looked at social media, specifically Instagram, searching by location. We were able to look at weddings that have taken place at our venue and, through tags, look at what vendors they had used and see things that we liked! 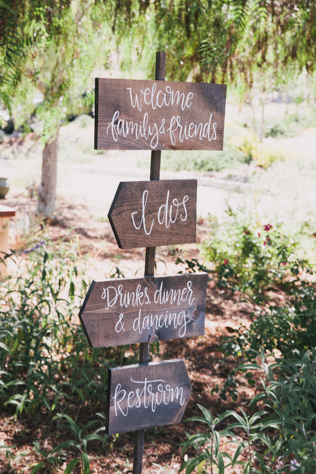 It was also super helpful when it came to envisioning what the layout of our day would be like!” Because the couple was well prepared throughout the planning process, it’s no surprise they ensured their guests were also in-the-know. “The biggest issue we faced was regarding hotel blocks. Pismo Beach is a few miles from where the wedding was held and it is a very popular summertime destination. A lot of the nearby hotels do not offer hotel blocks during the summertime, so we were very concerned about our guests facing high hotel rates. To try and help, we sent out our save the dates nine months early and made sure to stress on our wedding website and to friends when we saw them the importance of booking a hotel. We also chose to send out our wedding invitations early (11 weeks) to make sure guests had all the information.” Come wedding weekend, the couple’s guests drove to Arroyo Grande after flying into either Los Angeles or San Francisco.